Are you seeing the best eye doctor in Southeast Michigan? What makes one eye doctor better than another eye doctor? We know of three (3) reasons why Dr. Kostesich in Shelby Township is better than your average eye doctor in Southeast Michigan. Call us today at (586) 254-9030 to schedule an appointment to literally “see” for yourself why Dr. Kostesich has been called the Most Trusted Eye Doctor in Southeast Michigan. 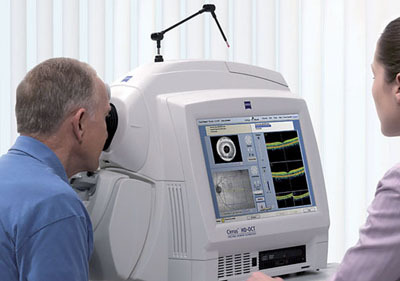 SD-OCT (Spectral Domain Optical Coherence Tomography); an extremely advanced 3D scanner of the eye. 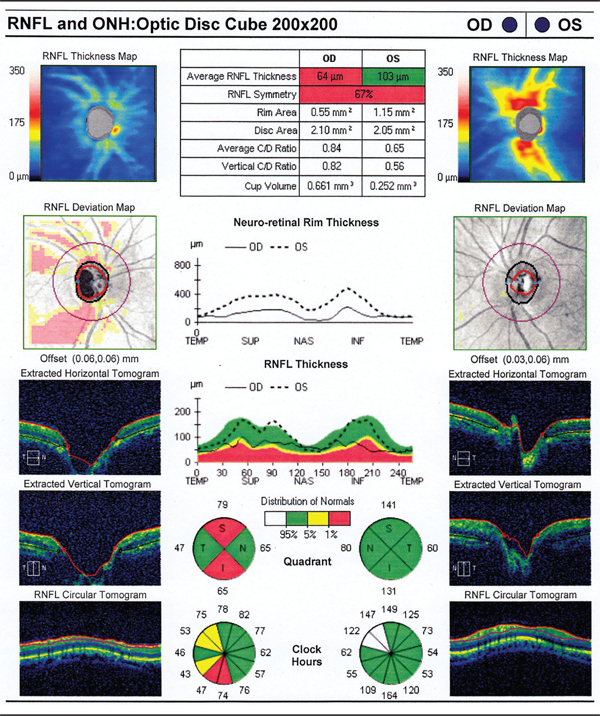 Think of an SD-OCT (Spectral Domain Optical Coherence Tomography) like an MRI for your eyes. It can attain stunning images which will reveal the hidden layers of the human eye. Plus should there be any defects or anomalies, this machine can quantify them to a resolution of a human cell, which is approximately 5 microns (see how small a micron is below). 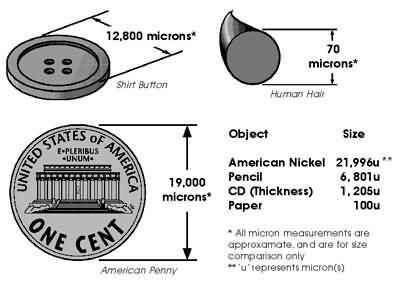 What’s the size of a micron? The RNFL/ONH report shown below is one of the many tool used to diagnose and eye health conditions. 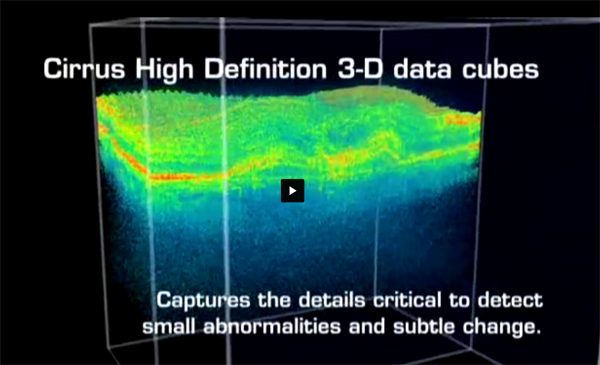 The information from the (SD-OCT) Spectral Domain Optical Coherence Topography will help Dr. Kostesich explain and show the current status of your eye in a 3-D perspective. With this unique technology, Dr. Kostesich can quantify conditions ranging from under the retina to literally analyzing a contact lens on the front of the cornea and everything in between. The image below show how much an Optical Coherence Tomography scan (or OCT scan) can zoom into your eye. 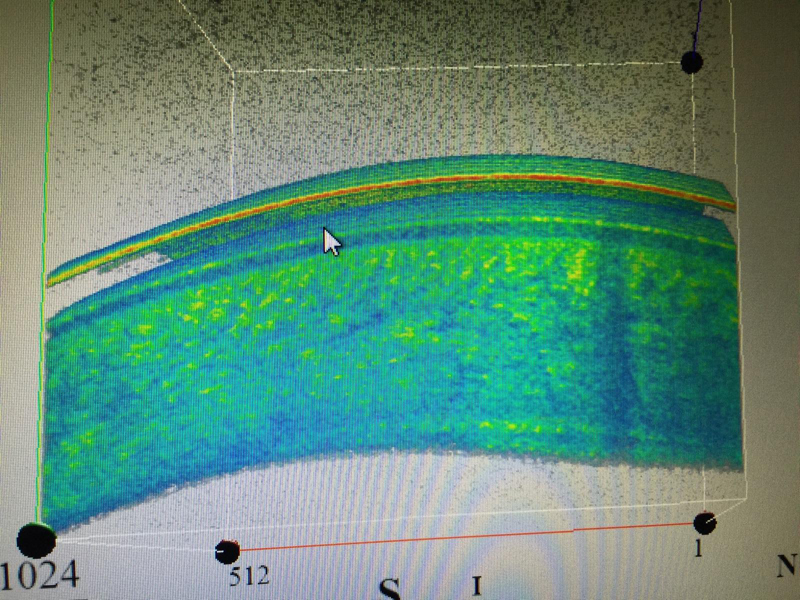 The image below shows a scan Dr. Kostesich performed in our Shelby Township office of someone wearing a contact lens. Do you see the contact lens floating on top of the eye? It’s normally difficult for doctors to identify and quantify conditions in the outer (peripheral) retina. The Optomap machine at our office acquires a 200 degree scan of the retina at two different levels, both at the retinal surface level and chordal level (below the retina). This machine creates a permanent digital recording, which will allow Dr. Kostesich to go back and compare previous scans for any changes. Unlike most local eye care offices in and around the Metro Detroit area; our Shelby Township facility features 2 certified opticians and 2 certified optometric technicians. 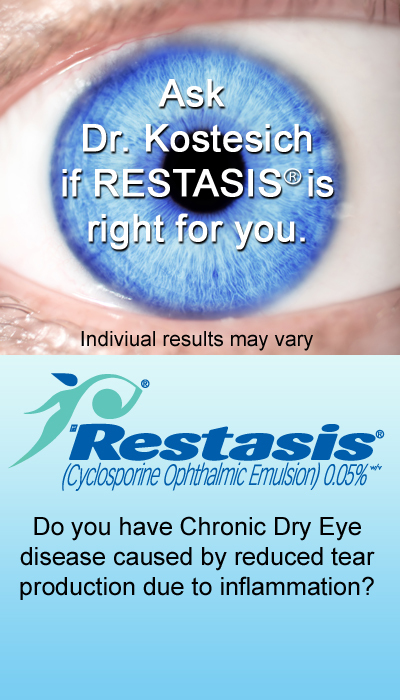 This is important, when talking about your eye health, because they have the advanced training and skill level necessary to insure you receive the appropriate testing, in a professional manner, which will allow Dr. Kostesich to utilize this information to accurately diagnose and treat your condition. Everybody’s seen commercials on TV, or heard on the radio that their company “cares” about you. More often than not, your expectations of these places are left lacking. Impersonal and marginal at best service has become the norm of our world. We spend the time, make the effort and create lasting interpersonal relationships with our patients. This is demonstrated by our office having multiple three generation family patients. At our eye care center in Shelby Township, we go way beyond the norm of traditional eye care. Our combined experience, training and knowledge allow us to provide the highest quality of optometric eye care anywhere within Southeast Michigan.